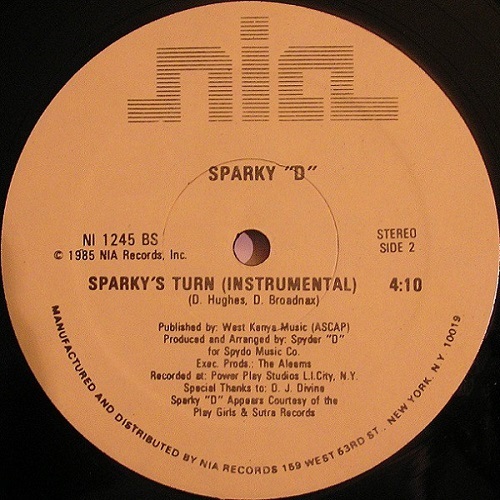 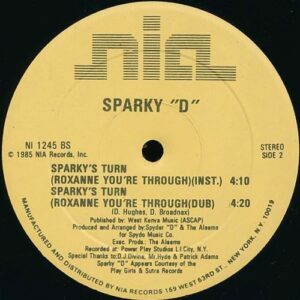 Following her release as a member of The Playgirls the previous year, Doreen Broadnax aka Sparky D joined the Roxanne Saga by recording this diss aimed at Roxanne Shante as her first solo release. The track was written by Sparky D and Spyder D and produced by The Aleems. 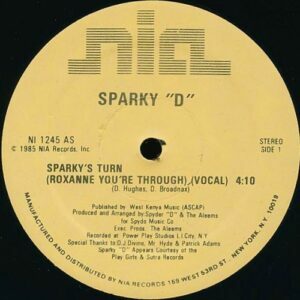 There are a couple of label variations for this release. One is entitled ‘Sparky’s Turn (Roxanne You’re Through)’ and the other is just titled ‘Sparky’s Turn’ which also has misprinted labels. 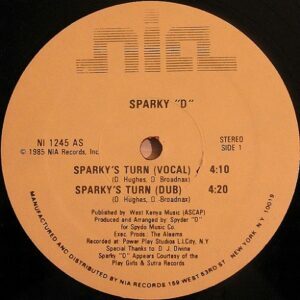 Although the labels state vocal and dub versions on side A and instrumental version on side B, the track list is exactly the same as the version.